Art in Society is focused in this issue on the Slovak film critic Pavel Branko. Branko has been published on various occasions in this journal. More importantly, he has been involved for many years in reflections on film as an art form. 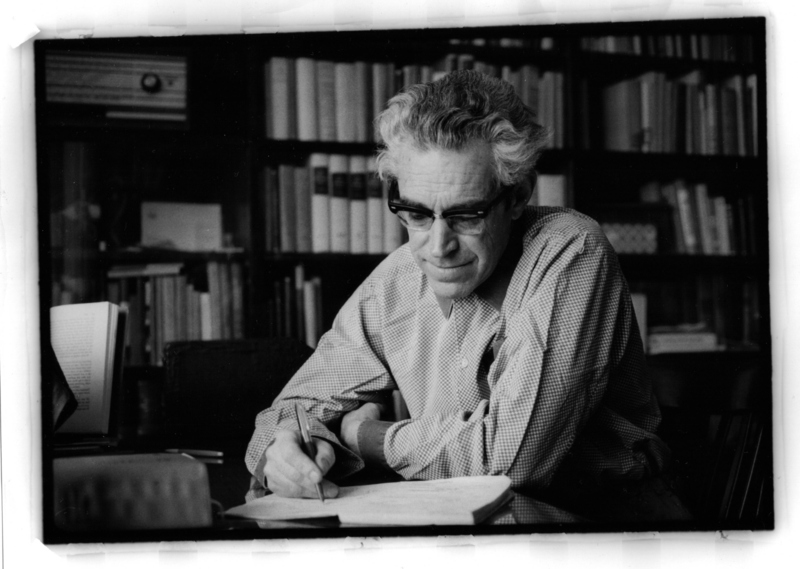 Between 1948 and 1952, his film reviews appeared in such journals and newspapers as Kultúrny život (Cultural Life), L'udovýchova (Vernacular Education), Náš film (Our Film), Pod zástavou socializmu (Under the Banner of Socialism), Práca (Labor), Pravda (Truth), Slovenské pohl'ady [Slovak Views], Smena (Shift), Svet socializmu (World of Socialism) and others. In 1956, he began to work for the newly founded bi-weekly journal Film a divadlo (Film and Theater) as film editor. Since 1956, Branko has focused largely on documentary film. He was able to regularly attend the short-film festivals in Karlovy Vary, Oberhausen, Leipzig and Cracow (occasionally as a jury member), as well as the national Pula Film Festival in Yugoslavia. From the second half of the 1950s until the early 1970s, Branko published film criticism in Divadelní a filmové noviny (Theatre and Film News), Estetika (Aesthetica), Film a divadlo, Film a doba (Film and Time), Filmové a televizní noviny (Film and Television News), Kultúrny život, Mladá tvorba (The Young Generation), Národná obroda (National Revival), Nové slovo (New Word), Práca, Pravda (Truth), Predvoj (Vanguard), Reportér,Rudé právo, Slovenský jazyk a literatúra (Slovak Language and Literature), Tvorba (Creation) and other Czech and Slovak publications. But his film reviews appeared also abroad, in such foreign media as Les Lettres Françaises (Paris) and Telegram (Zagreb), and in a number of renowned film journals, most notably Deutsche Filmkunst, Ekran Warszawski (Warsaw), Film polski (Warsaw), Filmrutan (Sweden), Filmspiegel (GDR), Filmstudio (FRG), Iskusstvo kino (USSR), Kamera (Warsaw)and Sovetskij ekran. Pavel Branko taught at the VSMU film academy in Bratislava, the less well-known - but not lesser - "sister institution" of the Prague FAMU. In this issue of Art in Society, a summary of his book Mikrodramaturgia dokumentarizmu (1991) is presented in both English and German. Even though published nearly 23 years ago, Branko's analysis of documentary films and his theoretical conclusions are still relevant. Microdramaturgy of documentarism remains useful although it focuses mainly on documentary films created in Eastern Europe (Czechoslovakia, Poland, Hungary, Yugoslavia) prior to 1990. Students at the film academies in Prague and Bratislava are usually familiar with the book as it continues to be used as a text book. domain according to information obtained from Vladimir ("Vlado") Branko. Art in Society takes this chance to highly recommend two other publications by Pavel Branko to our readers (and to publishers outside Slovakia and the Czech Republic). 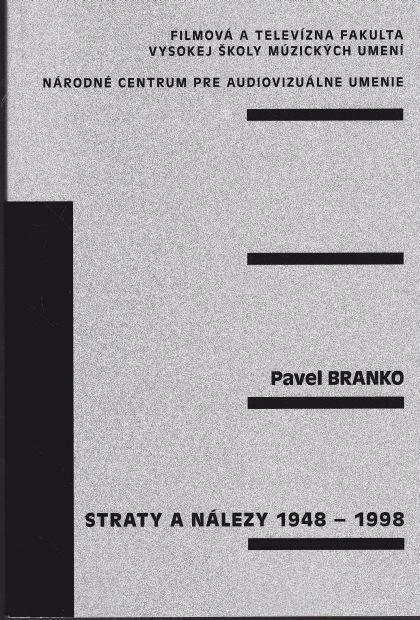 His Straty a nálezy 1948-1998 was published in 1999. The book contains film reviews and other texts focused on the cinema that Branko was forbidden to publish between 1976 and 1989. Blacklisted, Branko published numerous of these articles under the pseudonym Daniel Tisovecký, or by using the names of other prominent authors who had the good luck of not yet being blacklisted at the time. 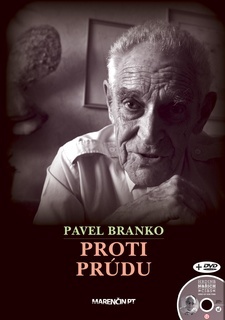 Readers with a good command of Slovak or Czech who are interested in the biography of Pavel Branko are referred to his book "Proti prúdu (Against the Current)", published in 2011. Pavel Branko, Mikrodramaturgia dokumentarizmu. Bratislava 1991. Pavel Branko, Straty a nálezy 1948-1998. Pavel Branko, Proti prúdy (Against the Current). In addition to our focus on the Slovak film theorist and film critic Pavel Branko, the present issue of Art in Society pays tribute the painter, sculptor, video artist and incredibly creative performer Tony Morgan (1938-2004). It offers a review of a recent exhibition of the Belgian painter and print-maker Luc Piron (b.1952), and discusses sculptures and installations by the Swiss artist, poet and novelist Urs Jaeggi (b. 1931). Last not least, we invite our readers cordially to debate A.B. Meadow's article on Malevich, Rodchenko and - after WWII - Rauschenberg as pioneers of what became Minimalist Painting. 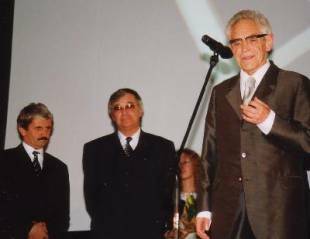 Pavel Branko (r.) receiving the "Golden Camera" Award for his lifetime achievement during the International Art Film Festival in Trenčianske Teplice, in 2001. The director of the festival, Peter Hledik, is seen in the center; to the left of him, the present prime minister of the Slovakian Republic, Mikuláš Dzurinda. Photo: Igor Branko.